A staggering one in ten babies in Australia are born premature. It was this statistic, coupled with a passion to minimise inequity in rural health, which spurred Dr Luke Wakely down his research path. As the only paediatric physiotherapist running a private practice in the Tamworth region, Dr Wakely sees firsthand some of the challenges rural families face in accessing healthcare. Witnessing the triumphs of his patients reaching their potential, some of whom he has supported from birth through to adolescence, has inspired Dr Wakely to continue pursuing his research. Dr Wakely’s research focuses on investigating the inequity in health of people who live in rural areas, particularly children, which has the potential to affect future health outcomes of entire communities. “I think there’s plenty more that can be done, but if we can help the younger generation to have better health equity, they are more likely to grow up with better health outcomes and rural areas generally will also be healthier,” Dr Wakely explained. Recently achieving a Doctor of Philosophy (PhD) in Community Medicine and Clinical Epidemiologyat the University of Newcastle, Dr Wakely’s research explored the experiences of rural parents who have a premature infant, to illuminate the additional stress factors and particular needs of these families. Through his investigative studies, Dr Wakely revealed that rural families with premature infants face similar stressors to non-rural families, however they experienced added complexities stemming from the physical distance of living away from their partner and relocating closer to a metropolitan Neonatal Intensive Care Unit (NICU). “My research found additional stressors for rural families is coping with the adjustment of leaving NICU, where parents and infants have instant support, and moving back to their rural hometown where urgent health care is not always readily available. “Every family in the study had experienced an incident where their child had become critically unwell and was away from key services, which was identified as a significant stress factor for rural families,” Dr Wakely said. Highlighting the need for greater health care access in rural areas, Dr Wakely recalls the experience of one family with a premature baby who he interviewed as part of his research investigation. A unique component of Dr Wakely’s PhD investigation was engaging with Indigenous mothers of premature babies to record their experiences – a research area that was not well understood. “Aboriginal and Torres Strait Islander population experiences nearly double the rate of premature births than non-Indigenous Australians, so there was a massive gap in the literature,” Dr Wakely said. “It’s really important to engage with the Aboriginal and Torres Strait Islander community to help understand why health statistics are below average compared to the non-Indigenous population. “We know that part of the reason the Aboriginal and Torres Strait Island population is overrepresented in premature births is due to a higher incidence of chronic disease and smoking, but another factor is inequity in healthcare in remote communities making pre-natal checks difficult to access,” Dr Wakely said. As a passionate advocate and practitioner for rural health, Dr Wakely is eager to keep the momentum of his research alive to improve health outcomes for people in remotes areas. 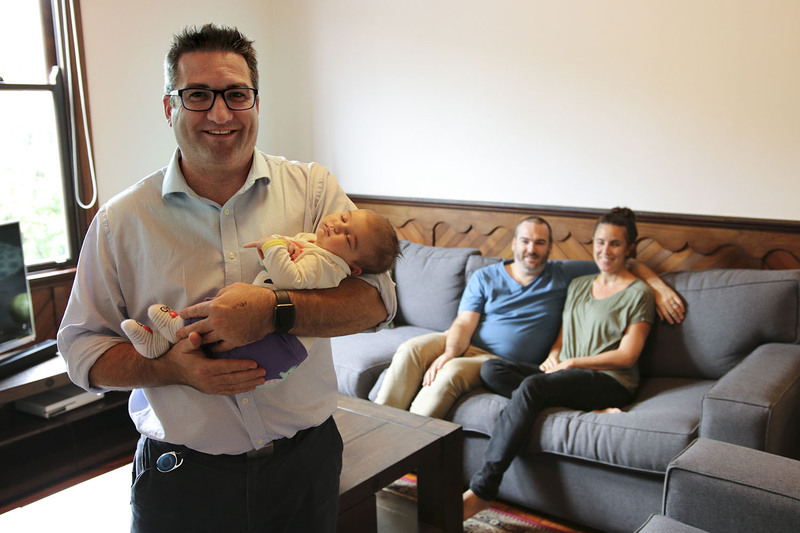 “There is definitely an opportunity for more community consultation in remote areas, particularly with Indigenous fathers, to learn about their experiences raising a premature infant,” he said. Dr Wakely is also committed to seeing the representation of allied health professionals in rural areas continue to grow to help ease health inequity. Clinical mentor for the physiotherapy program at the University of Newcastle Department of Rural Health, Dr Wakely facilitates and teaches long-term and short-term placements for physiotherapy students in Tamworth, and also provides mentorship to staff in rural regions. Undergraduate physiotherapy students have the opportunity to complete their entire final year, a semester or a five week placement block in Tamworth, Coffs Harbour, Port Macquarie or Taree. Dr Wakely explains rural work placements provide valuable opportunities for students to gain a breadth of experience that they might not get in metropolitan areas. “The aim of the placement is to give students a rich and immersive experience in a rural area so that they might be open to practicing in a rural area on graduation.